In the course of the past century, science fiction has provided us with many interesting visions of what the future of transportation will look like. And whereas not long ago, many of these seemed like hopeless fantasy – such as the failure of flying cars or robotic automated vehicles to become a reality by 2000 – recent years and developments have seen reality slowly catching up. Case in point, last year, the European company named “2GetThere” installed a small fleet of automated podcars (aka. 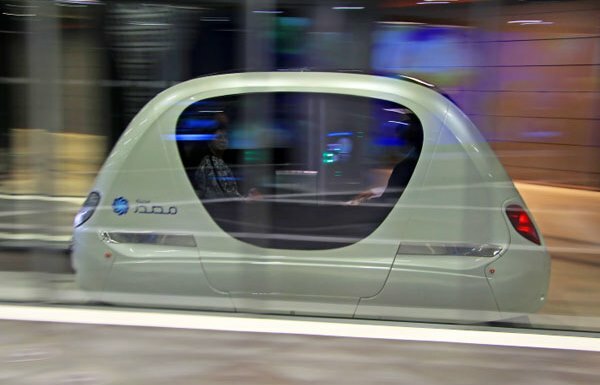 robotaxis) in the eco-friendly community of Masdar City. Similarly, the town of San Jose began work on the Personal Rapid Transit System – a series of on-call, point to point transit cars designed to replace the town’s system of taxis and buses, providing an environmentally friendly alternative to traditional mass transit. And most recently, the town of Milton Keynes – a sleepy city north of London – that is planning on conducting a podcar system trial run by 2015. 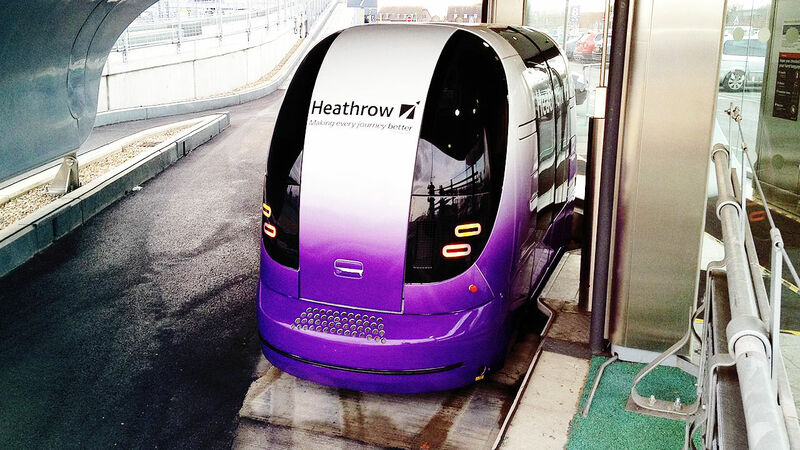 Similar to the system at Heathrow Airport, which uses 21 on-call podcars on a 4 km (2.5 mile) stretch of track, the system will consist of a series of pods that will be able to carry two passengers, plus baggage, from the town’s train station to its downtown offices and the shopping district. Milton Keynes’ plans is much more ambitious, calling for a fleet of 100 vehicles that will travel with far ore independently, albeit in a designated lane with curbs. The trial will assess safety and how people (and animals) react to them. The pods travel at up to 19 km/h (12 mph) and will contain GPS, cameras, and sensors to ensure they don’t crash into anything. And if all goes well, the system will be adopted by 2017 and residents will pay little more than a bus fare ($3.20) to travel in automated luxury. Purpose-built in the 1960s, Milton Keynes has an unusual grid layout that makes it an ideal testing ground for a plan that other British cities are seriously considering. Given the dual issues of congestion and pollution in British cities, a system of robotaxis seems like the perfect solution. In fact, such a solution is ideal when it comes to all major cities around the world. The state of robotics, automation, centralized grids, and the reduced impact electrical transit has compared to gasoline-powered cars and buses, we could be looking at a world where every major city has its own system of robotaxis in the near future.